Oh boy was this a rough episode of Prime Minister and I. There was some romance but any whiff of comedy went right out the window thanks to Da Jung being so bloody obstinate about breaking up with Yul. It was countered by so much Yul awesomeness that it saved what might otherwise have been a fall off the cliff episode. I don’t think anyone is surprised to see Yul saving the day, but I remain truly impressed at what a great male lead he is in every respect be it professional and personal. 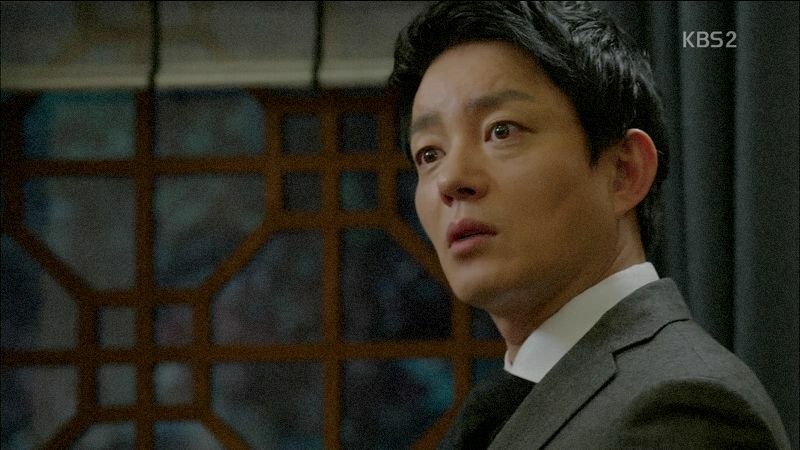 This episode was all about Yul dealing with the two-headed hydra of Not Dead Na Young on one hand and his political dreams hitting the brick wall that is a President who refuses to enact just reforms. 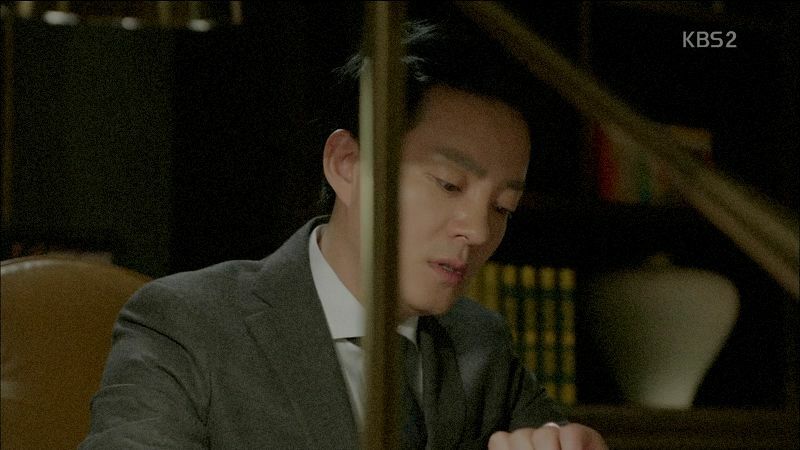 Both of these problems posit the same question to Yul – what must he endure and give up in order to do what is best for others? Does he take Na Young back by brushing the truth under the rug and therefore his kids think a miracle has happened without any ill will towards their selfish mother? Does he keep being a Prime Minister in name without any ability to keep his promises to administer with principles? 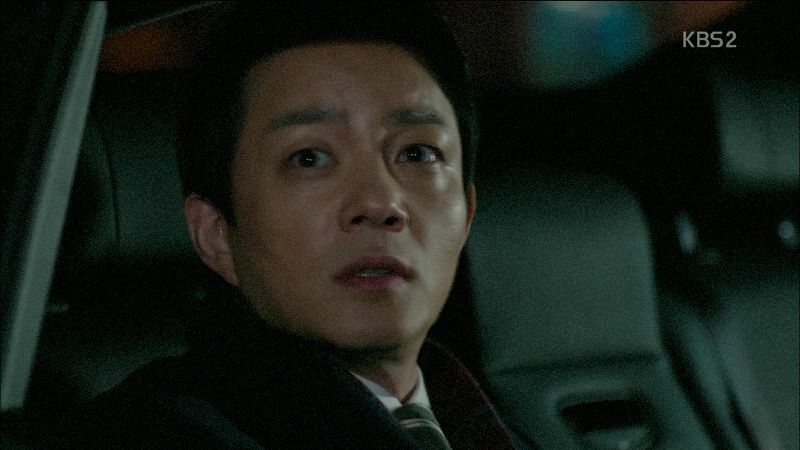 Yul decides to be true to himself and forge a different path – he will neither sacrifice himself for the sake of family or public nor will he let his own disappointments dictate his actions. While I understand Da Jung’s reasons for pushing Na Young back on Yul and his kids, I totally completely disagree with her actions. The kids deserve to have their mom back? Yes, but it’s not part and parcel with Yul taking Na Young back as his wife. Thank god Yul told her so right off the bat which makes her insistence on that path so absolutely baffling to me. I wanted to smack her and explain in words even Man Se would understand that even if Yul doesn’t have Da Jung it doesn’t mean he will take Na Young back. It doesn’t work that way, and the fact that Da Jung was the only one who clung onto that artificial construct frustrates me to no end. 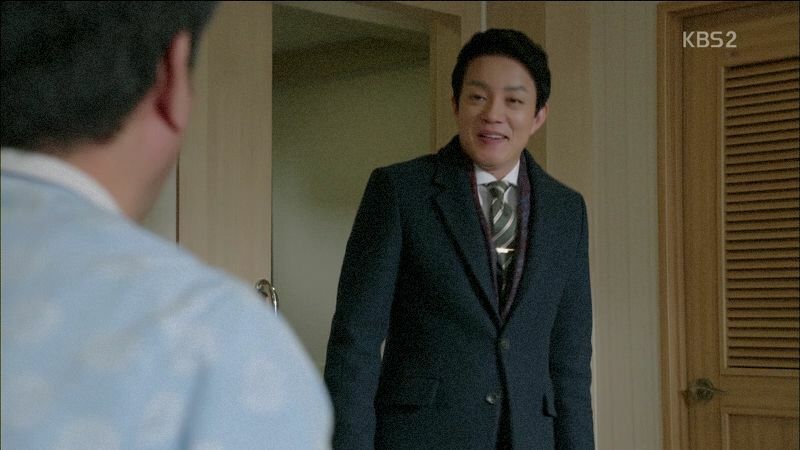 I was soooooo happy that Hye Joo chewed her out, that In Ho called her on her self-deluded lies, and that Yul never once bought her lame “I’m not ready to be a mother to three kids” cockamamie excuse. The only good thing coming out of Da Jung leaving the mansion is that she gets to spend time with her dad during what might be his final days with his rapid health deterioration. It’s just weird that everyone seems to be able to discuss issues and move on except for Da Jung. Even Joon Ki asked Yul to take Na Young back and when Yul said he would as the kids mother but not as his wife, Joon Ki let it go. I suppose watching Yul being incredible and perfect and brave and funny and resourceful in this episode was worth it, but gosh darn it this drama has gone so long with the OTP both being so refreshingly thoughtful it was a shame to see Da Jung’s character tank so deeply towards the end. It’s nothing that ruins my affection for her but when the drama is done I’m sure going to give her some long and hard chastising for putting her hubby through this pointless frustration. 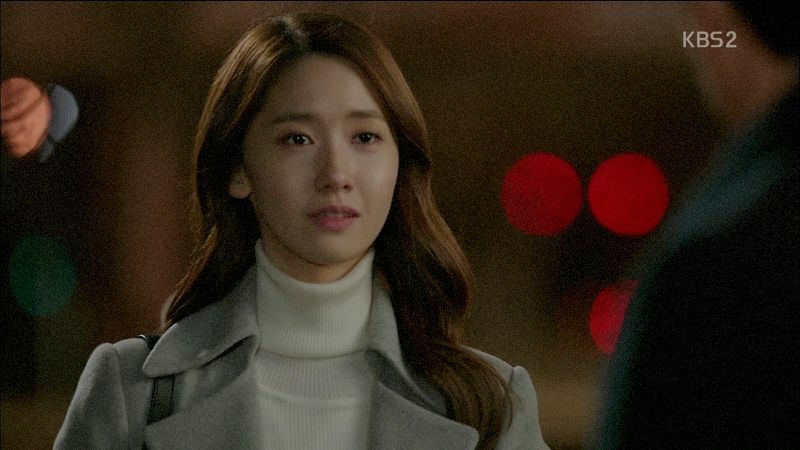 Da Jung makes up her mind and leaves Yul and the Prime Minister’s mansion, believing that the kids need their mother and she has no place in the family’s lives now that Na Young has returned. Yul doesn’t take her leaving laying down and chases after her, cornering her outside her dad’s hospital. Da Jung asks to break up but Yul just tosses her suitcase in the backseat before taking her hand and dragging her into the passenger seat of the car and driving off. In Ho hears that Yul drove off in a car and left all the bodyguards behind but called to say he was fine. In Ho gets a call from Hye Joo that the proposal to remove him has been submitted to the legislature. She’s even more worried that she can’t reach Yul at this time. In Ho explains that Yul met Na Young today at the arrangement of Da Jung. 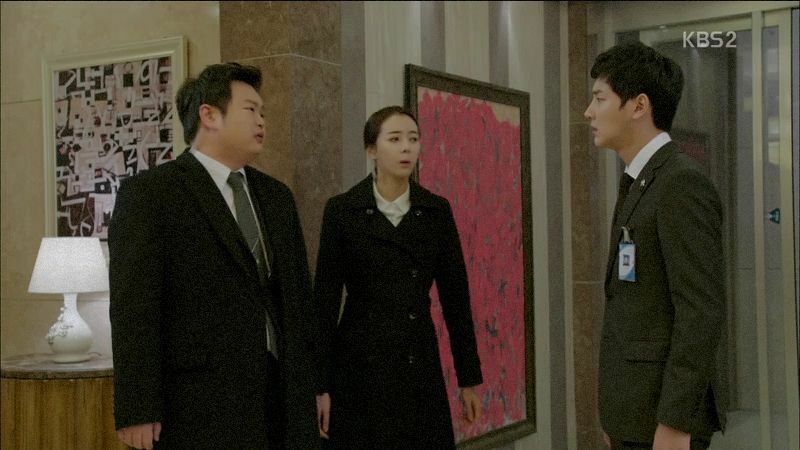 Da Jung doesn’t want to return to the mansion but Yul tells her to be quiet before he really loses his temper. He can’t handle it anymore and stops to car. 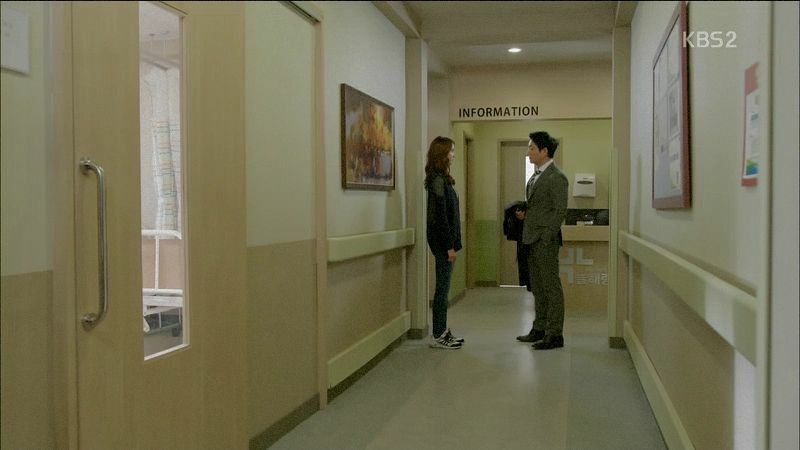 Yul gets out to brood and Da Jung follows him to talk. He demands to know if she left was because of him and the kids, to give them back Na Young? She lies that the reason isn’t that and instead she’s afraid of becoming the mother to three kids. She may like Yul but she’s scared of all that responsibility. Now that the kids mother is back she doesn’t need to work so hard anymore. Yul knows her real reason for leaving him and asks if he should be grateful to her? Da Jung keeps insisting she’s leaving him because she no longer finds their contract marriage amusing like she was the heroine in a drama. Now when she thinks about becoming a wife and mother it makes her scared so she wants to run away. She wants freedom and her life back to do what she wants. Does he get that now? Da Jung walks away leaving Yul sighing at her stubbornness. Da Jung gets a call from Hye Joo to meet and talk. Yul is back at the mansion and learns that Joon Ki will block the proposal to remove him because he knows Na Young is alive. Yul is surprised everyone knows but him. Da Jung knows, In Ho knows, Joon Ki knows, even Hye Joo knows! In Ho apologizes but Yul says they are too much for keeping this from him! How can they make him into an idiot as the only person who doesn’t know Na Young is alive! Yul is so angry he tells In Ho to leave, he can’t talk to him right now. Yay for losing his temper finally. Hye Joo chews out Da Jung for revealing Na Young is alive even though Hye Joo has convinced Joon Ki to keep silent as well. Da Jung says its wrong to keep it from Yul and also from the kids. Hye Joo just wanted to keep it from Yul until he was done with his term but Da Jung doesn’t agree. Hye Joo asks if Da Jung will tell the kids the truth, that their mom left them 8 years ago for another man and then hid from them this whole time. Doesn’t she love telling the whole truth! YOU GO HYE JOO!!! She storms out and leaves Da Jung mulling over what she said. Later that night Da Jung stares at her wedding ring while Yul does the same. 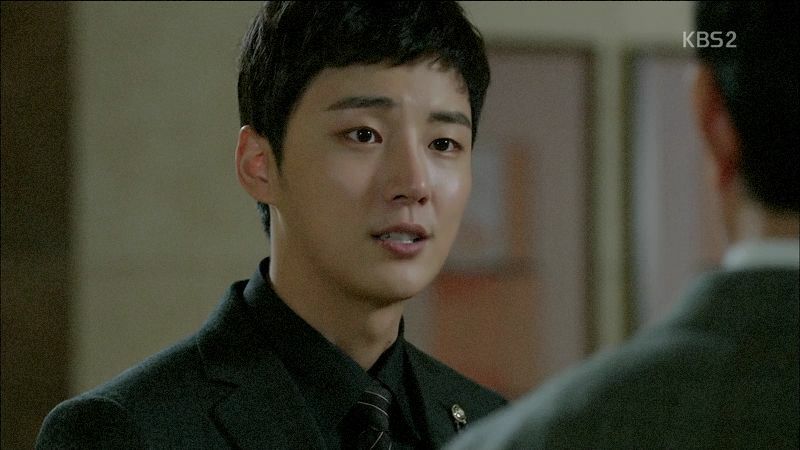 This is the stupidest separation ever because all Da Jung needs is to tell Yul the truth and then give him the choice. If he wants Na Young back then she is happy to leave. That way they can work through the problem but still have the option to choose which path to go down. And it’s not the path Da Jung thinks is right. Da Jung’s dad wakes up shocked to see her sleeping next to his bed. Da Jung asks how her dad has been and he revealed he’s been sleeping a lot lately and always tired. Dad asks for his washing items but can’t name it specifically. Da Jung opens the drawer to find that he’s labeled the items. Dad wonders if she’s here because she fought with Kwon son-in-law and doesn’t believe Da Jung when she claims nothing is going on. Yul walks in with Da Jung’s suitcase and assures him all is well but he sent her here to keep him company. Her dad believes him and is relieved. Da Jung sits with Yul and thanks him for comforting her dad but he doesn’t need to come anymore. Yul says he doesn’t believe a word of what she said last night but Da Jung insists she was telling the truth. Yul decides she should stay here to think through things while he uses the time to deal with things. He wants her to not leave him and come back when everything is ready. Da Jung insists she won’t ever go back with him. Ugh, shut up girl. The Scandal News duo is lunching with Reporter Byun while the news is reporting on the proposal to remove the Prime Minister. 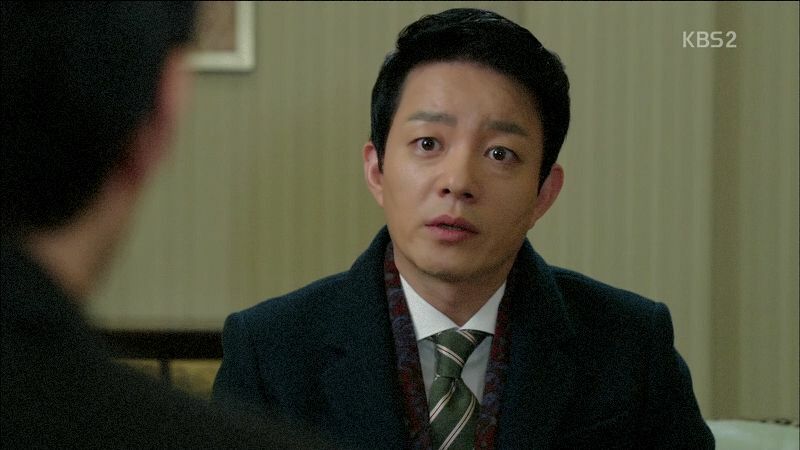 Reporter Byun says he’s trying to change too much and getting on the President’s bad side, but he doesn’t think it’ll happen because the person behind the removal proposal is Joon Ki yet he appeared to have done an about face and is trying to stop the proposal now. Reporter Byun wonders why? The Scandal News duo don’t care about politics and wants to know more dirt between Joon Ki and Hye Joo. Reporter Byun doesn’t think Hye Joo is either a spy or an cheater, she’s a goddess who has ambitions to be like Hillary Clinton which is why she’s climbing the political ladder by working for Joon Ki. In Ho reports to Yul that the Prime Minister removal proposal won’t pass the first vote but the bad news is that the investigation into the port reconstruction will be shoddily closed and the project will continue as planned. Yul wonders what he did in office despite his promises when he was confirmed. In Ho thinks Yul has courage already to pursue what he believes is right. Yul wants to do one big thing and for that he needs to meet someone. He asks In Ho to arrange a meeting with Na Young. Na Young sits waiting for Yul and remembers Joon Ki wanting to return her to her original life no matter what. He wants her to be a mother again and will help her make it happen. Yul arrives and the two stare at each other. Na Young breaks the silence and apologizes for running away at the university because she was so shocked. She is living with Joon Ki now. She registers Yul’s silence and asks if he resents her and hates her. Yul says he hates her for returning like this. How could she have pretended to be dead for so long and lied to everyone. She should have him that she was alive. Na Young couldn’t because Soo Ho has been laying in that hospital and Yul knew she was eloping with Soo Ho so how could she return? Na Young thought about going back and seeing the kids, but if the truth came out that she tried to elope with another man then it would impact his political career. Yul chastises her for pretending to be dead because doing so meant staying away from the kids. Doesn’t she miss them? Na Young misses them dearly and she’ll understand if he prevents her from seeing the kids now. But she still misses them so much. Yul will let her see the kids and be their mom going forward. She will never be his wife again but she can be the kids mom. Na Young cries. Yul leaves the meeting and In Ho asks if everything went well? Yul smiles and moves to leave but In Ho asks why Yul is not asking him any questions despite knowing he is the younger brother of Kang Soo Ho? Yul says he already said what he wanted to say to In Ho last time, and if he wants to try and quit then he should not do it since Yul needs people beside him especially now Hye Joo is gone. 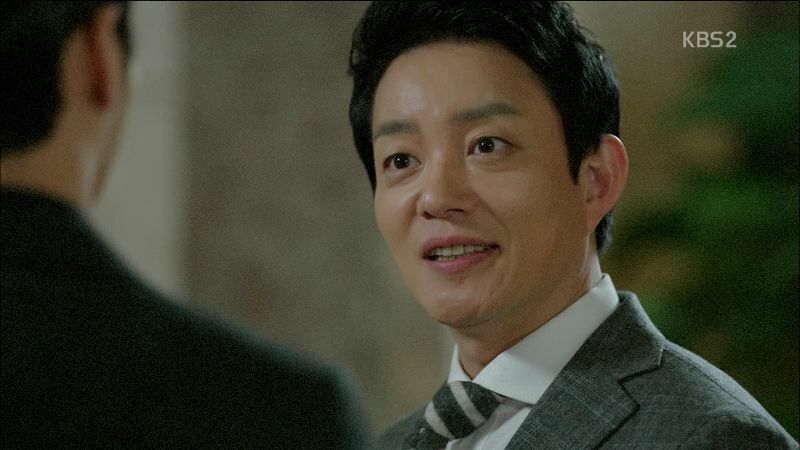 Yul smiles and clearly he’s the bigger man willing to overlook In Ho’s past mistakes. Da Jung gets an update from the doctor that her dad needs to label everything. 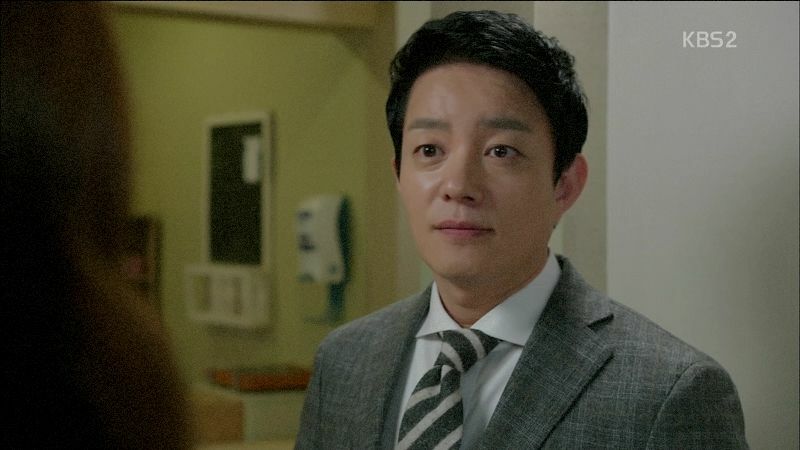 Da Jung wonders why her dad is sleeping so much lately and the doctor reveals that the dementia is not the problem but it’s the tumor that is making him deteriorate so fast. He can’t sleep during the day otherwise it’ll be dangerous for him. But the doctor sees that her dad has strong will power so Da Jung needs to not show him how worried she is because that might affect him. Da Jung gives her dad a diary to write down what he does every day so he doesn’t forget it. Dad wants to talk about the news that there is a proposal to remove the Prime Minister from office. Before she can answer she gets a call from Yul. Da Jung goes out to dinner with Yul while he laughs that she came so easily. She wants to talk about the removal proposal which makes him laugh knowing that is why she agreed to dinner. He asks with a smile if she’s worried about him? He doesn’t want to talk about such a serious topic and instead wants to ask what she plans to do after they break up if that is what she wants? Da Jung doesn’t want to talk about it but Yul asks her to yield to him today. Da Jung asks if something happened other than the removal proposal? Yul smiles and claims nothing else is going on other than he misses her. Da Jung wants to take a taxi after dinner but Yul insists on driving her back. The driver is all smiles to see her and reveals the kids miss her so much especially little Man Se. 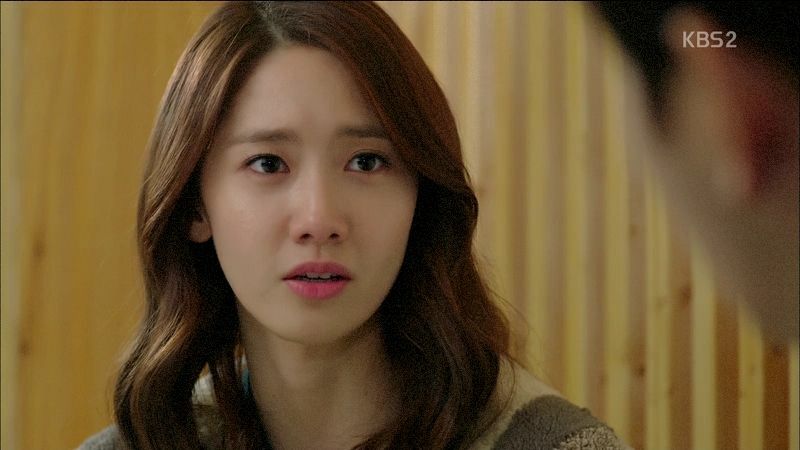 Da Jung looks sad to hear Man Se misses her. Yul and Da Jung sit quietly in the backseat without talking until Yul falls asleep and his head lolls onto Da Jung’s shoulder. Da Jung turns to look at him sleeping on her shoulder and does nothing. 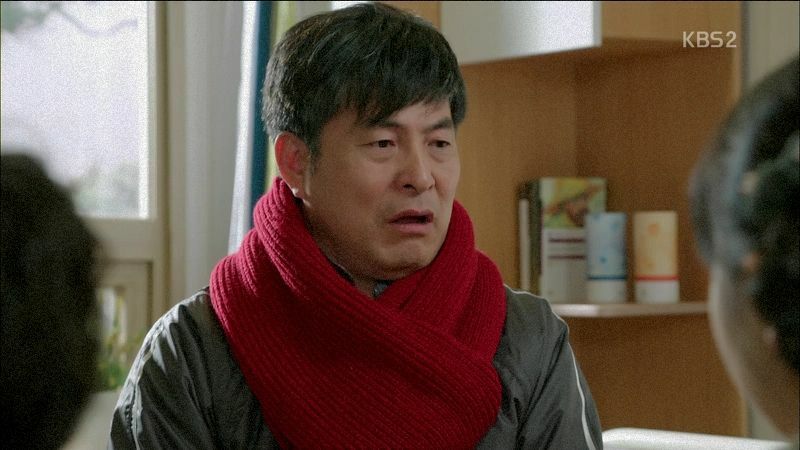 Da Jung’s dad wakes up and wonders where she went? He notices that she labeled the bed, the remote control, and his slippers for him. In Ho arrives and asks where Da Jung is? The driver pulls up outside the hospital and asks Da Jung what next? Da Jung wants to let Yul sleep for a bit longer and the driver notes that in all his time driving Yul he’s never seen him sleep so soundly in the car. Da Jung shushes him and turns to watch Yul sleep. In Ho runs outside and spots this tender quiet scene. When Yul wakes up he’s alone in the car and Da Jung quietly went into the hospital already. Da Jung watches from inside the hospital as the car drives away. Da Jung greets In Ho and asks if something is worrying Yul today other than the removal proposal. In Ho reveals Yul met with Na Young today. Joon Ki is visiting with the Kwon kids and notices that Man Se is especially sad despite him bringing them all hamburgers. Na Ra reveals Man Se misses Da Jung who the kids all still call ahjumma. 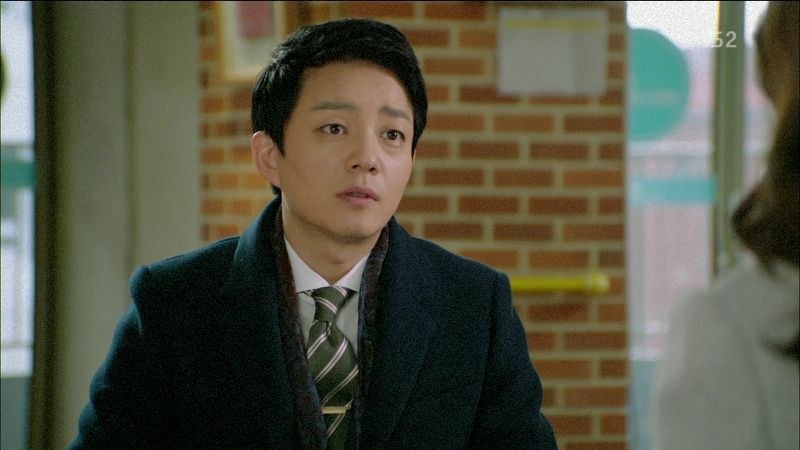 Yul comes home and Joon Ki asks to talk. Joon Ki reveals he’s stopped the removal proposal and Yul knows its because of Na Young. Joon Ki knows he did a lot of bad things in the past but he’s begging Yul as a former friend to accept Na Young again. Yul can allow Na Young to be the kids mom but never his wife. Joon Ki says it’s all up to Yul, if he agrees then his marriage with Da Jung is void. Plus Da Jung wants it too because she left the mansion already. Yul asks how Joon Ki can be so cruel to him? Joon Ki accepts that he is asking for a lot but Na Young has been silently atoning for her sins this whole time by hiding, can’t Yul forgive her since she is the mother of the kids? If the mother is alive then the kids need to live with their mother. Woo Ri barges into the room after hearing this whole conversation outside the door and demands to know what is going on? In Ho hears that Da Jung left Yul but she’s going to keep it from her dad. In Ho asks if Yul has agreed and Da Jung shakes her head. In Ho asks Da Jung to date him after she ends it with Yul. No, it doesn’t even have to be for real, they can pretend date. 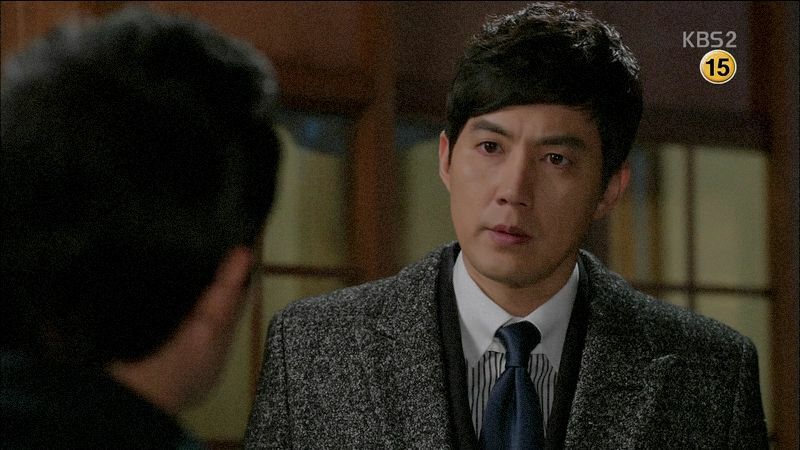 Da Jung is upset at his suggestion and In Ho points out that she clearly doesn’t want to leave Yul. So why is she lying to herself about this, this is not the Da Jung he knows. That Da Jung remains remains true to her heart and then worries about what to do next to get over obstacles. When did she become a coward? Da Jung would rather be a coward if she can make others better off. Da Jung doesn’t want In Ho to help her anymore and wants him to stand beside Yul and look out for what’s best for Yul. 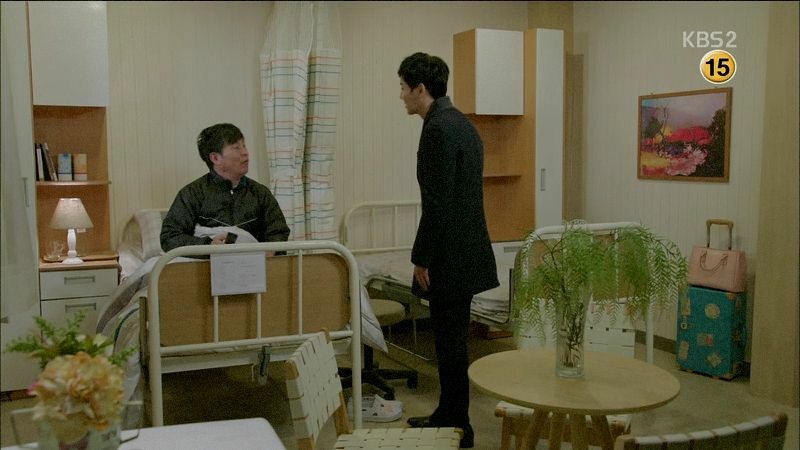 Da Jung returns to her dad’s hospital room and finds him sleeping already. She tries to wake him up and he doesn’t stir so she’s about to call the doctor in when her dad wakes up and yells at her for not letting him sleep. Da Jung cries that he scared her and then pats him to go back to sleep. 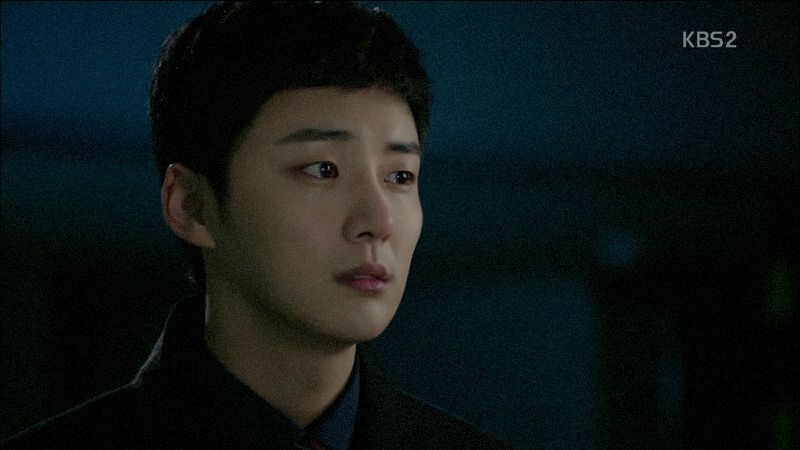 Joon Ki apologizes to Yul for letting Woo Ri find out this way. Yul doesn’t mind because the kids will know soon but now he’ll make the meeting happen faster. He can allow Na Young back as the kids mother but he cannot be husband-wife with her anymore. Joon Ki asks if its because of Nam Da Jung? He doesn’t wait for Yul to respond and apologizes for asking so much of Yul and will wait for Yul to contact him with the next steps. Yul goes to see Woo Ri who is crying in his bedroom. He apologizes for letting Woo Ri find out this way. 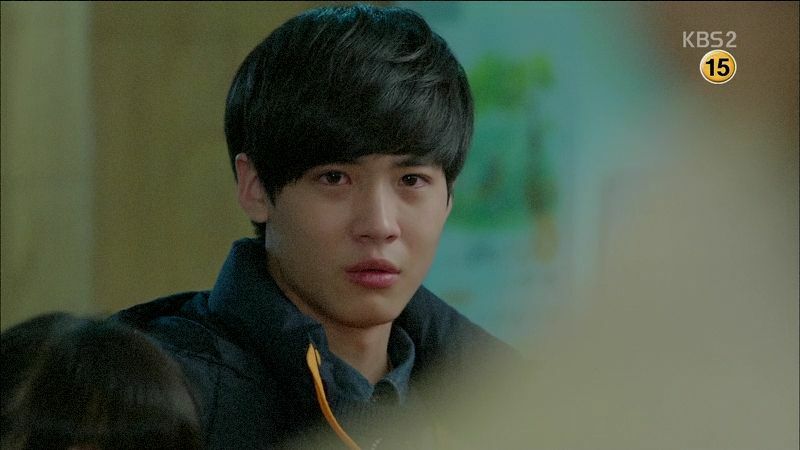 Yul asks if Woo Ri wants to meet his mom but Woo Ri screams that he doesn’t have a mom and she died in the car accident. How could she not come see them when she’s alive, there could be no mother like this in the world! Yul tries to say Na Young had her reasons but Woo Ri wants none of it and yells that he doesn’t want to see her. Na Young takes care of Soo Ho in the hospital and talks about her happiness at being allowed to meet Woo Ri. She gets a call from Joon Ki and wants to know if she can see Woo Ri? Joon Ki explains Woo Ri isn’t ready yet and for her to wait some more. Joon Ki heads to a meeting but Hye Joo calls him sunbae and apologizes for what she did last time. Joon Ki says there is nothing to apologize for. She won’t go back to Yul ever with her stubborn personality. It’s time he also acted as a mentor to her since she was always the brightest of kids with a big future ahead of her. She can stay his secretary until she figures out her own dream and he’ll help her. But she can’t rummage through his drawer again. Hye Joo laughs and Joon Ki pats her on the shoulder before walking out. 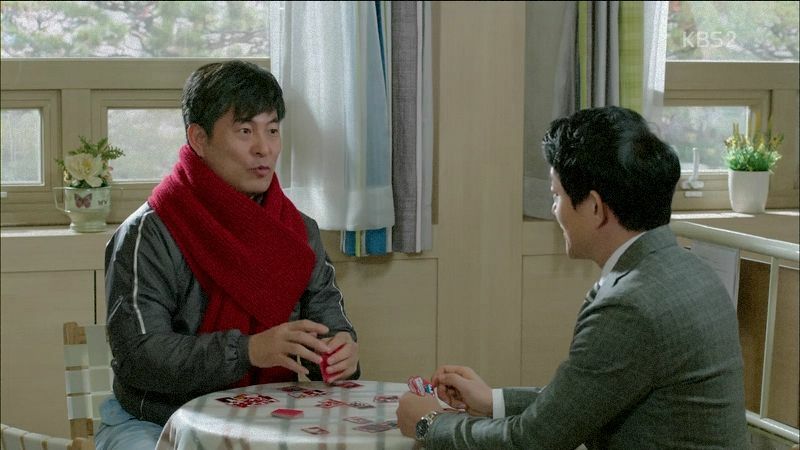 Da Jung finds Yul playing cards with her dad who missed his son-in-law and called him over. Da Jung chides her dad for bothering Yul when he’s so busy. Yul explains he had some free time which is why he came though he needs to head out now. Da Jung walks Yul out and he notes that her dad’s memory has deteriorated a lot since last time and he can’t even play hwatu well anymore. Da Jung promises to keep her dad from bothering him but Yul doesn’t mind. Yul says he made a big decision today but wants to run something past Da Jung. She claimed to be familiar with all the alleys and side streets of Seoul – what would she do if she was faced with road not on the GPS? Would she still head down that path? Da Jung would if that path leads to her destination so even if it causes a detour she’ll still end up at the end. Plus a road needs a person to travel on it to be a road and make the road signs. Yul smiles to hear such a simple answer. Yul then asks a second question – is she certain she wants to break up with him? Da Jung says yes and Yul nods before telling her to go back since her dad is waiting for her. He leaves and Da Jung stares at him walking away. Yul pauses at the elevator before pressing down. He’s still wearing his wedding ring. Da Jung runs after him but the elevator door closes on her. Yul rides down while Da Jung runs down the stairwell. Yul gets out of the elevator and Da Jung runs out of the stairwell and manages to see him leaving the hospital but doesn’t run forward to stop him. Yul stops outside and looks back at the hospital before getting into the car. Da Jung sits in the hospital lobby and broods while Yul thinks back to what Da Jung said about the road not traveled. Yul hands his resignation letter to the President and reveals he’ll work until the next PM is confirmed. The President thinks Yul is upset at the proposal to remove him. He wants Yul to work until his term is up but Yul asks if he’s willing to make the reforms that are just and good for the people? The President looks all shifty and Yul says he can’t work with the President now because they are not on the same path. 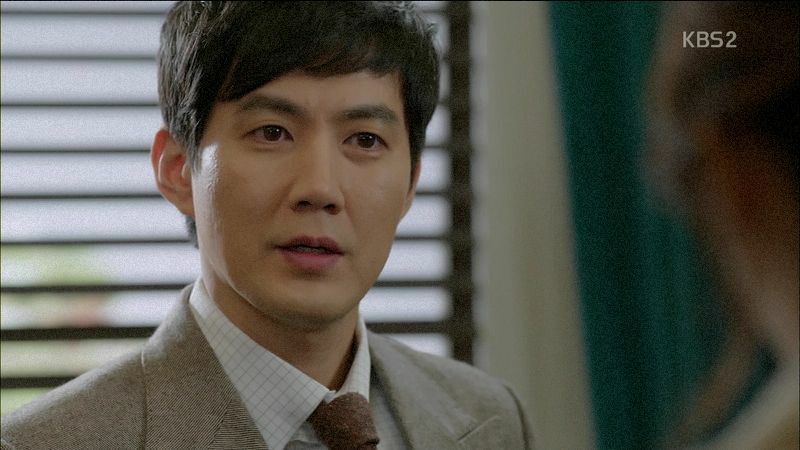 Yul leaves the meeting and reveals that he feels great but he has a lot more to do. The resignation is the first step only. In Ho congratulates him on resigning but Yul laughs that he still has to do the job until the next PM is confirmed. Da Jung meets with Na Young who feels bad about her moving out of the mansion. Da Jung lies that she is taking care of her dad. Na Young used to be content just peeking at the kids but now she has a chance to see them she really wants it to come quicker. She laughs that people have such desires and it’s so laughable. Da Jung thinks its normal because she is their mother. Na Young understands why everyone likes Da Jung so much. Yul agreed to let her be the kids mother but not as his wife, and that is also what Na Young thinks is best. Da Jung gets a call from a frantic Hye Joo asking if Yul is with her right now. 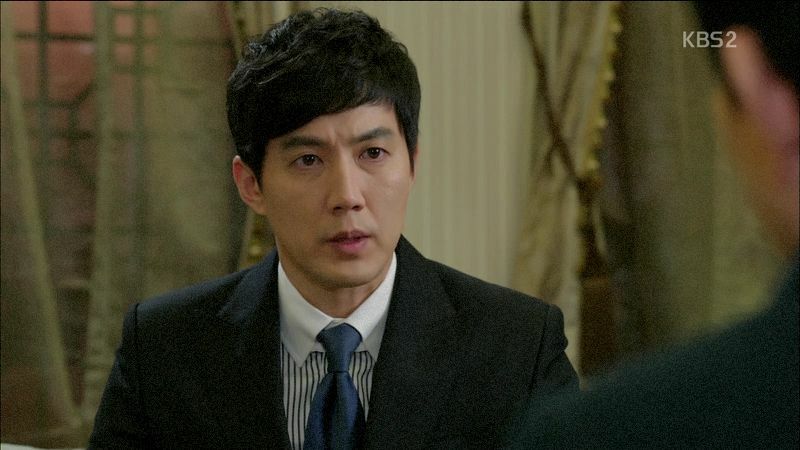 Da Jung asks what happened and hears that Yul resigned as Prime Minister and isn’t answering his cell. Da Jung runs off and misses seeing the Kwon kids. The little ones ask Woo Ri why he is bringing them to visit grandpa and Woo Ri reveals he wants to ask Da Jung a few questions. 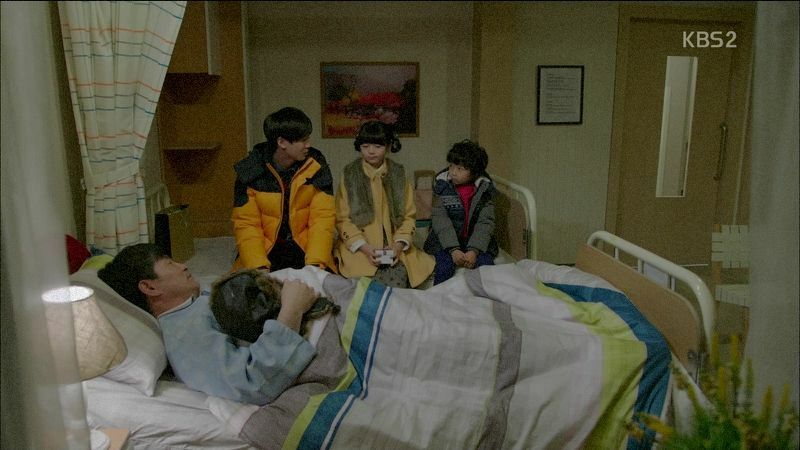 The kids hear that Da Jung isn’t here and happily visit with grandpa instead. They bring him a present of a warm furry hat and it makes him so happy. He tries it on for them and Man Se says he’s cute but grandpa says he’s even cuter. Woo Ri heads out to buy drinks and passes his mom in the hallway, noticing her but not sure it’s really her. Da Jung runs around Seoul looking for Yul, hitting up the church first but not finding him there. Yul is walking and thinking along the streets of Seoul. Da Jung hops into a taxi and scans out the window looking for him. Yul stops at the area where he told Da Jung to stand in place while he walks towards her one step at a time and then takes her hand. Yul turns the corner and sees Da Jung standing there as clearly she knew where to look for him. Da Jung’s dad has fallen asleep and the kids get ready to leave. Man Se wonders about the present for Da Jung and Na Ra puts it in her purse. Man Se notices that grandpa is sleeping with a smile on his face. The kids are leaving the hospital and laughing and joking when Na Young sees them in the lobby. Woo Ri stops when he also sees her and calls out “Mom”. 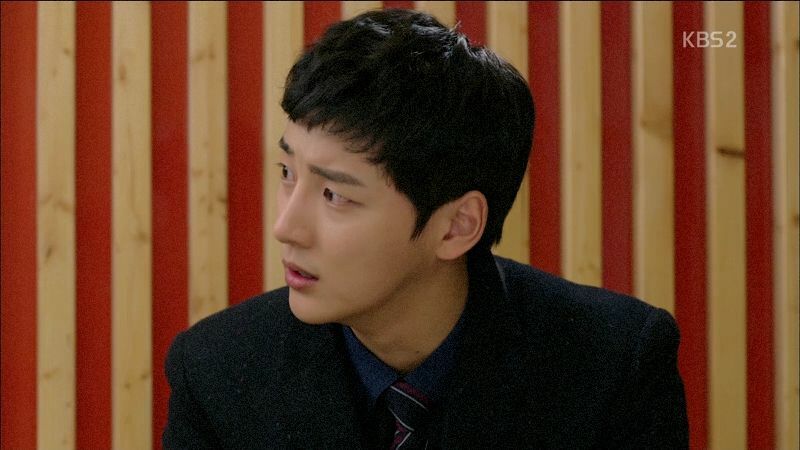 Da Jung tells Yul that she’s worried because he submitted his resignation and is not answering Hye Joo’s calls. Yul laughs that he didn’t want to answer because she’ll nag him. Da Jung turns to leave after checking that he’s fine but Yul asks her “Nam Da Jung-shhi, can you really live without me?” TELL HIM NO YOU STUBBORN GIRL!!! Say your life is gray and cloudy without him. Grrrrrr, why are your women so frustrating, Yul? Whether you have horrible taste in women (Na Young) or great taste in women (Da Jung), they both still cause you copious amounts of headaches. Na Young is still an irredeemable witch and the only nice thing I can say about her is that I don’t wish she would go die or should have died because she’s not a serial killer or such blights on society. Nothing she did then or now convinces me I should pity her or hope her return to her kids is as painless as possible. I love Woo Ri’s anger because that’s so understandable. Maybe she’ll spend the rest of her life being a great mom and when she’s old and decrepit I’ll think she’s atoned for all the pain she’s inflicted on people close to her. Da Jung needs to be braver AND smarter and not let her own mommy issues cloud her decision making. Just because she didn’t have a mom and longed for a mom doesn’t make her the person to decide what the Kwon kids need or want. And definitely she cannot push Na Young onto Yul. I get her desire to sacrifice for those she loves but her method is all wrong wrong wrong. The means is as important as the end and Yul epitomizes that by being so damn incredible in his consideration and practicality. I’m sure a part of him wants to kick Na Young to the curb but for the sake of his kids he does allow her to become their mother again. That is correct parental thinking on his part. Da Jung’s method to try and patch a leak with a band aid is laughable and frustrating, especially in light of everyone and their mothers seeing through her lame excuses. Setting aside the OTP, who is clearly getting back together and it’s just a matter of time to fill the extra episode with some prolonged separation, I’m loving the resolution of all the side conflicts. Joon Ki stops being a devious prat towards Yul and I’m hoping he spends the future making up for his transgressions in the past. He is the kids uncle after. Hye Joo doesn’t go back to Yul and restart her pointless one sided love and instead stays with Joon Ki to forge her own future and they fully move pass his unrequited past feelings for her. She is a fabulous second female lead and perhaps she’ll one day be the first female Prime Minister herself. I’d love to see that happen. In Ho ends up staying with Yul and being the best ally and confidante and develop his own career. He also appears to have totally given up any lingering hope with Da Jung but instead is the sane sensible friend who tells her the honest truth as he sees it. I really love how this drama hasn’t pounded home any of these conflicts and allowed people to work through and move on efficiently. Sadly so many great minor characters mostly disappeared in the second half – the reporters, the housekeeper, the driver and bodyguards – popping up way to infrequently despite really endearing themselves to me early on. That made room for screen time for Na Young which will never not make me roll my eyes. A woman who leaves her kids to elope with another man is persona non grata to me. 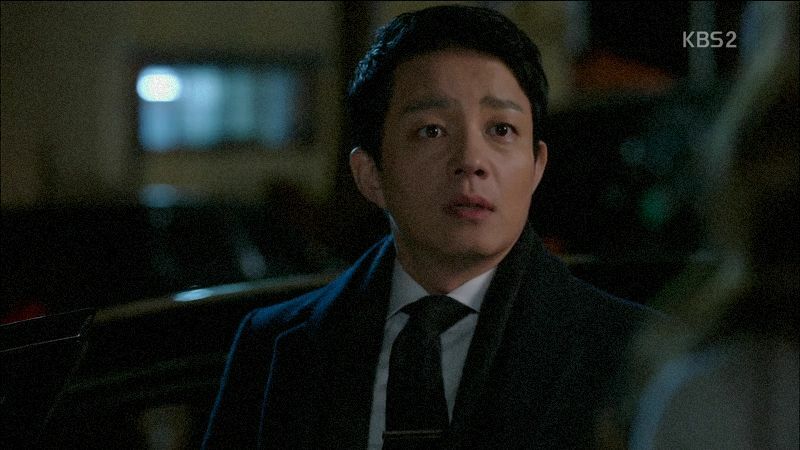 I don’t know what’s in store for the final episode 17 but as long as Yul remains THE MAN and does what he believes to be right while fighting for his chance to love the woman who gave him the courage to open his heart again, then I think all’s well that ends well. We’ll see tomorrow whether PM gives us all the satisfying and sickeningly sweet happy ending Yul and Da Jung deserve. C’mon drama, I know you can do it so put a little power to it! thanks for all your hard work in doing recap. crossing my fingers that it will be a happy ending. OTP deserve each other. Of the events unfolded) but happy. The conversations very grown up. I understand where DJ is coming from I understand her being a coward and her intentions because I for one would have done the same thing…oh well last episode tomorrow. Que sera sera!!! Thank you Ms K! Lee Bum Soo he is AMAZING! Thank you so much! Is there really just one more episode left? I hope she runs to him and embraces him tight (which I feel like doing now, lol!). 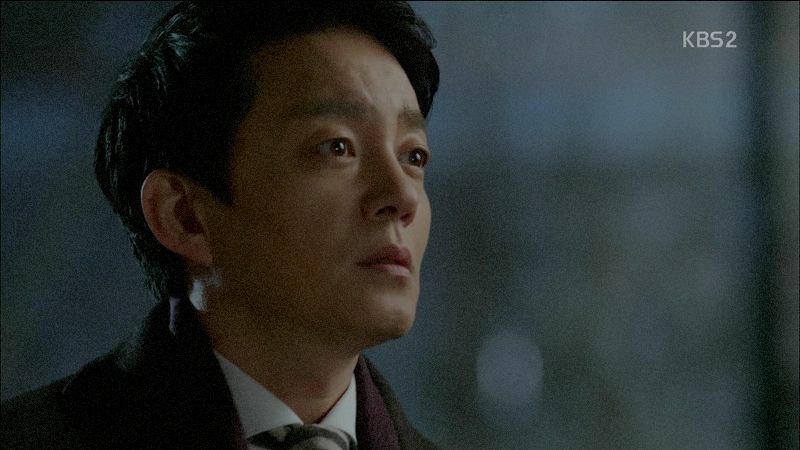 I love you, Lee Beum Soo, er, Yul! Wow, thank you for the recap and commentary. It was truly a hard episode to watch, I found myself crying even though I didn’t know what they were saying. The acting is wonderful, I just wanted to spend some of my time with them and feel their hurt. The only thing that would really shock me now is if, we do not get an open ended ending. It sure seems that is what we are headed for. It sure seems as if we are headed for an open-ended resolution; Da Jung has truned out to be too immature to deal with this situation. Her running away and her lies were really painful, especially since she has been so solid and straightforward up until now. She is not a stupid person, so I can’t help wondering if her continued obtuseness about Yul is really just subliminal anger. The way I see it, she could be unconsciously angry about Yul’s inability to find and get closure with his first wife – I mean, you have to wonder how hard he really looked for her, when she was hovering around her lover’s bedside for seven years. Wouldn’t the lack of a body keep him looking? Wouldn’t he have huge resources at his disposal for this task. The whole thing is just totally unbelievable, so maybe Da Jung has just sortof had it with the gang that couldn’t shoot straight. Only she can’t admit that, even to herself, so she decides it is because she’s the one who can put this family back together. Fear, dishonesty, pride, close-mindedness…I don’t know who this new Da Jung is but somebody take her away. I think the ending is their kissing when Yul runs to Da Jung who is holding and umbrella and letting the umbrella go to receive Yul’s kiss….my guessing cause we haven’t seen that scene yet. Howoe. Thanks for the review . You write it very well.and me myself hoping for the happy ending.please dj! Open your eyes. Go back to your husband. Stay on his side. Yul is a man. And i am very fall in love with his character. So, pm and i fans, lets hoping the best happy ending drama. Thanks, Ms Koala! I’ve enjoyed following this drama through your super fast recaps and even caught a few episodes online. I agree with you Hye Joo is a fantastic 2nd female lead, I would venture to say my fave ever! Dj really starting to get on my nerve with her stupid stubborn that is not needed in the first placs.yul,ny,ih,hy all of them already mention that she just need to be brave and just grabe yul but no.in the preview also it seems she took her idiocy stubborn to go far away.hope when yul does chase her it will end her noble idiocy and gave us awesome make up kiss.if she not doing that I will personally took yul all for myself.why don’t they leave the decision to the kids.I wont accept open ending and in the preview show jk an yul’s kids play together is how the open e ding they choose.I mean by the writter!nervous for the ending.will not be happy if the otp boating time only the last 2minutes and gave ny portion bigger! screw you writternim!!! why you make simple things so hard? aigoo this is the hardest episode to watch. before i rant and plant to throw everything to my monitor, let me say thank you for your wonderful recaps, thank you for stick till the end with your wonderful thought. i hate to see every predict that i said came true, so writternim take this, dont ever let this drama has open ended. pls stick to the cinderella story where princess get her prince and live together forever happily. kids has their mommies, but the lady of the mansion goes to da jung, afterall from 16 episode clearly both of them deserve one to another, there is no bond, chemistry can beat them. love second female lead, glad everything back to where they should be, so da jung, it’s your call, get your sanity back!!!! I kind of feel the same way about the writing. Just watched the episode and read the recaps. Thanks for the recaps. I don’t think I would have been able to recap in such a neutral way, because I found the episode boring and am now pretty sure that I hate the way the show changed since the wife came back. This is actually the first time I am so disappointed in the (almost) ending of a romcom (which is not that much of a romcom any more), but I hear it is pretty typical in K-drama. But all is not lost yet. The second to last episode in K-drama (especially if it is extended) I often find the worst, so hopefully they will pull it together for the last episode. Fingers crossed. oh credit goes to LBS, i love his facial acting. when DJ asked for breakup, his face look 10 years older. hate to see him broodingmode. and when he with DJ, man …he’s rocks. Watch out, in his next project, his buddy, Song Seung-heon, is also involved. Wow, if you want to see a hot guy in that show, it probably won’t be Lee Bum Soo. If those two go surfing together in that Spring-Summer show, the TV might melt. Anyhow, the short version… I think it will be a happy ending. They wrote out the ex wife to be this horrible horrible person, woman, mother and wife. So just by that alone, they want us to hate her with all our might. I think they just dragged out this conflict due to the extension and such. If the ex was doing it for custody reasons, then fine… But really, she is a horrible woman. I would think most would at least want to take their children with them instead of abandoning them. Nonetheless, I hope the kids can forgive her cause as horrible as she was, she is still their mother and she is alive. There are many out there who can’t say the same. Hope she changes for her kids’ sake. DJ – I think she will come to realize what she wants and when she is ready, she will go back to him. I believe that, so I think it will be a happy ending. They both had a lot on their plates and I hope that in the end, they can be there for each other… Till death do they part. 🙂 writer-nim, it will be happy right?? Like twdrama-happy-ending happy? Please say yes. Aish! Another detail you will see is that Da Jung’s journal is the same as the one she bought for her dad. I think her dad will get hers by mistake and read all about her contract marriage before he dies. Aigoo, not so good. I do NOT think Nam Da Jung is frustrating this episode, or that her character has a personality transplant. 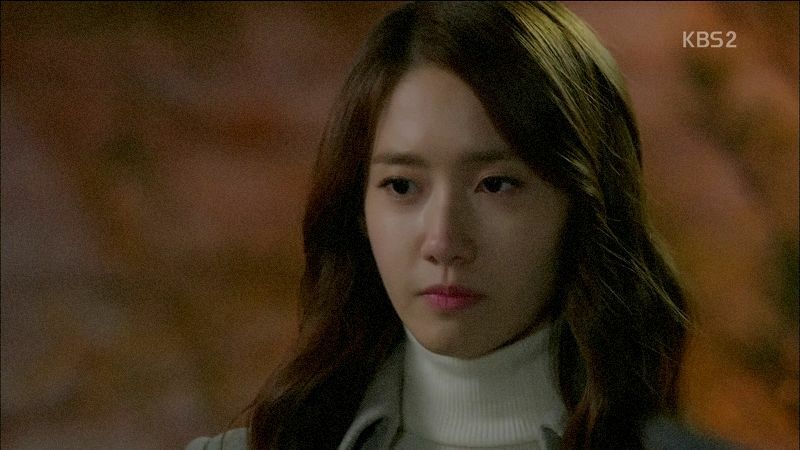 What Nam Da Jung is going through is very realistic for someone in her situation. People forget that when Kwon Yul and Nam Da Jung first met, they were practically strangers. Then they got married soon after, but it is a contract marriage – meaning it is temporary, and it is not real. Now, you are expecting them that because they are in like (Kwon Yul) or in love (Nam Da Jung), then they should just get married for real. 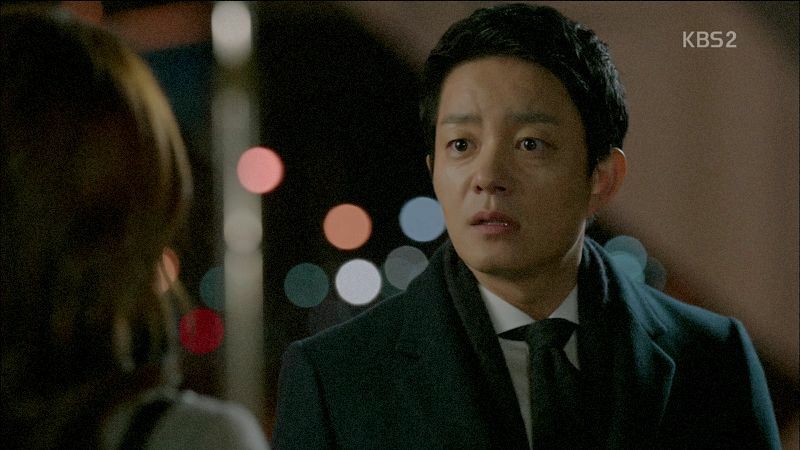 Marriage is a serious commitment, and it is realistic to spend time to ponder about it – more so, because this is a different situation (Nam Da Jung is not just marrying Kwon Yul, she is marrying his children also) and difficult too (the first wife and biological mother Park Na Young being alive). Kwon Yul and Park Na Young were in love when they married, but obviously that did not end well. Nam Da Jung might be thinking that Kwon Yul is only feeling responsible for her for putting her in this situation; or that Kwon Yul is feeling guilty because Nam Da Jung fell in love with him. Or perhaps Nam Da Jung herself is feeling guilty because she thinks her presence is an obstacle preventing the Kwon family to reunite. Also, the way I see it Nam Da Jung is not pushing Park Na Young back on Kwon Yul and his children. But that Nam Da Jung chose to remove herself in a complicated situation because she thinks of herself as the problem or a possible source of conflict. 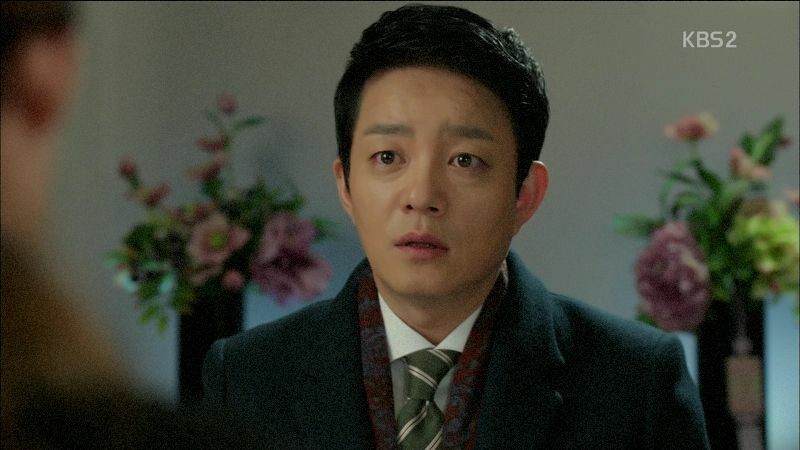 Nam Da Jung is not deciding anything for them; Kwon Yul and his children can definitely make a decision for themselves with or without Nam Da Jung in the picture – if the Kwon family will reject Park Na Young, then they should do that because they do not want Park Na Young and NOT because they found a replacement in Nam Da Jung. Anyways, it makes sense for Nam Da Jung to choose to spend time alone after her father’s death. Most of her adult life, she took responsibility for her father. And during her contract marriage with Kwon Yul, she took responsibility for Kwon Yul and his children. So it is okay for her to be selfish right now and to choose herself for once. Because of the contract marriage, Kwon Yul and Nam Da Jung and the children will be great together. But this series started with the ‘epilogue’ first before the story (the expected doubts and insecurities in a relationship) – but this pattern works because of the set up of a widowed/divorced man with 3 kids and a single woman plus the age gap. *Because of the contract marriage, Kwon Yul and Nam Da Jung and the children will be great together – this is already a known fact and is already shown. Thank you for your outstanding analysis. I think everyone is upset because they want this to end well, we are all emotional wrecks. You are completely right, I personally feel that Kwon Yul had it rough too. Remember he told Da Jung to give him some warning before she leaves because it would be too hard for him to endure if he loose Na Young, Secretary Seo and Da Jung all the same way, i.e., disappear in thin air. For that reason, I think he handled himself remarkably well. Da Jung said, twice, “it won’t happen because I love you.” What she is doing now is pretty mean, telling him that she wants to run away. In Ho actually called her on that motive and if she really wants to leave Yul for real she could pretend to date him. Also, I don’t think Seo Hye Joo is right about keeping Park Na Young alive from Kwon Yul for the duration of his term as prime minister because that is 5 years! 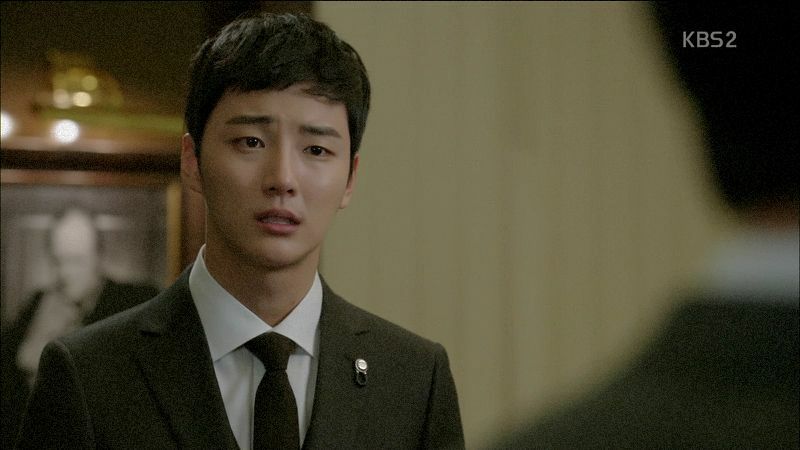 Kwon Yul deserves to know the truth, in fact he should be the first to know the truth. And the children deserves to know the truth – or at least a part of the truth that their father decides to tell them, until they are ready to know the whole truth. That is totally unacceptable in any conservative culture. That would essentially make Nam Da Jung an interloper influencing Kwon Yul and his children (the situation about Park Na Young does not matter here). So if there is going to be any rejection that will occur, that will take place without Nam Da Jung in the picture – like what Kwon Yul did here in episode 16 and what Kwon Woo Ri might do in episode 17. I love that Woo Ri, when troubled, went to seek DJ out… That’s trust. I think the talk about navigation etc, DJ’s answer will be used back by KY on her just as he mirrored the taking one step and one step…. I am curious about the writer’s use of mirrored events as well. The one step at a time thing. The guy falling asleep on the girl’s shoulder thing. I am hoping that Yul would declare during a press conference, “It is embarrassing, Nam Da Jung and I, we love each other!” as the mirror to what she in Episode 2. Am I asking too much? Not entirely sure if the contract marriage premise will be ever revealed. The contract marriage premise is possibly only important in putting two strangers in a contract marriage and their journey to having a real one. This is further supported by Kwon Yul and Nam Da Jung supposedly deciding in renewing their vows between the two of them in church for a real marriage. If the contract marriage was supposed to be revealed, there had been a lot of instances when it could happen but did not – when Nam Da Jung lost her copy of the contract; the hotel incident where Nam Da Jung was framed with Kang In Ho; and the Kwon Yul and Nam Da Jung in a press conference with the media where they were asked if theirs is a contract marriage. I am hoping the second half of Kwon Yul’s sentence, after “Nam Da Jung-ssi, can you live without me?” will be, “I certainly cannot live without you.” I am praying really hard that would be what will come out first in Episode 17. Dj leaves becoz KY never kiss her. Just kiss her, an open mouth kissess, that surely will makes all girl will sure that he loves her. 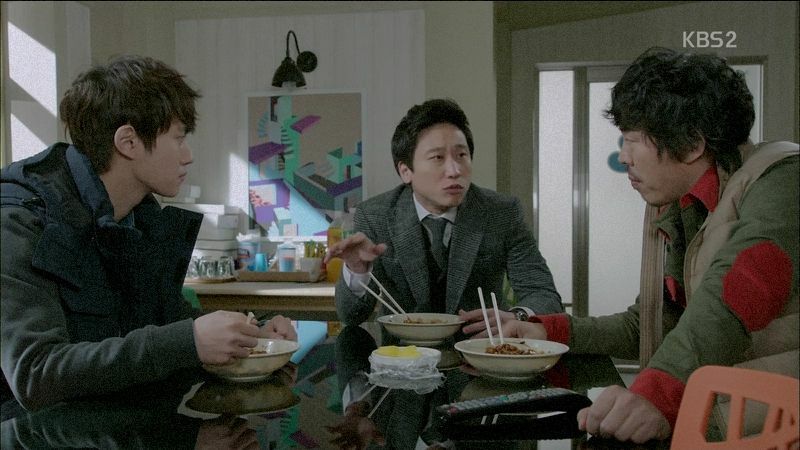 and….I bet Na Ra and Man Se will choose Dj, well their mom is a stranger right ? For Woo Ri ? His attitudes show that he regards DJ as his mom. DJ been taking care all their needs, give them love and caring plus she give them a’grandpa’.